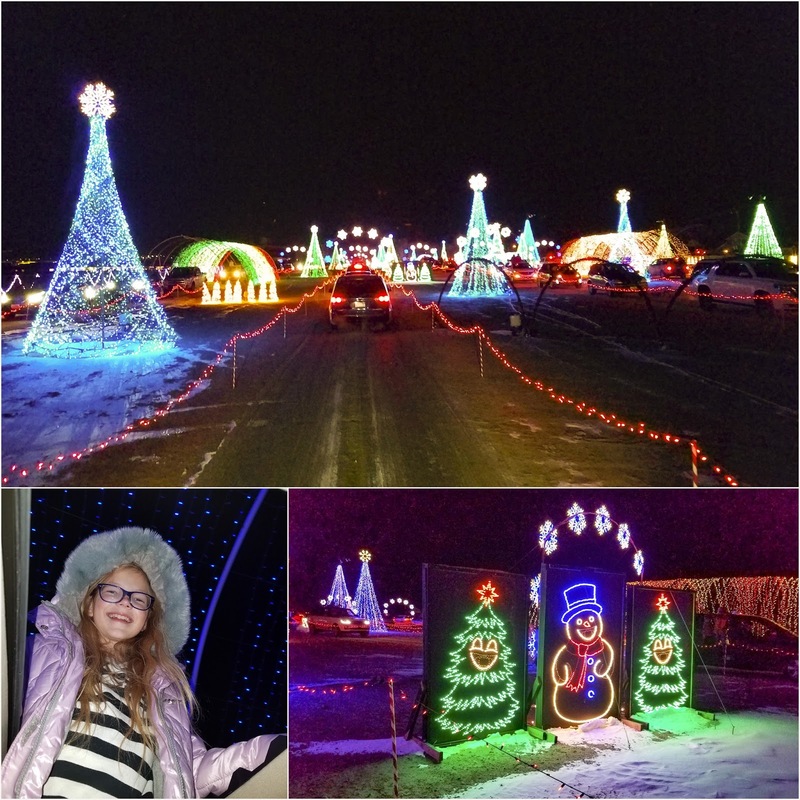 The Witneys invited us to join them to see Christmas in Color a drive-through light show synchronized to holiday music, held at the South Jordan Equestrian Park. The kids enjoyed watching the horses as we queued up in line to enter the light display. Even though each ticket is assigned a time, there were a lot of cars at the park waiting to enter the show. We waited for close to 20 minutes for our group to be let in. After entering, we tuned our radio to their locally broadcasted station and enjoyed listening to fun Christmas music as we watch the lights. 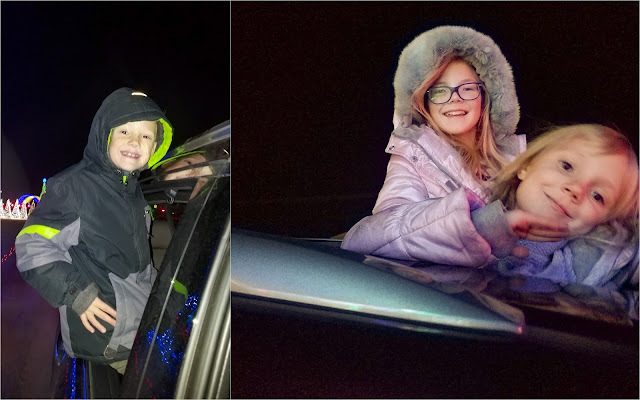 The car moved at walking speed (less than 5mph) so we allowed the kids to stick their heads out of the sunroof and out of the side of the car. They thought that was a lot of fun. The most fun was driving through the several tunnels in the park. The last one was made out of arches of LED lights. Each light is independently controlled and can be illuminated to any color. The tunnel's display included animated Santas, the Grinch and Ho Ho Ho. 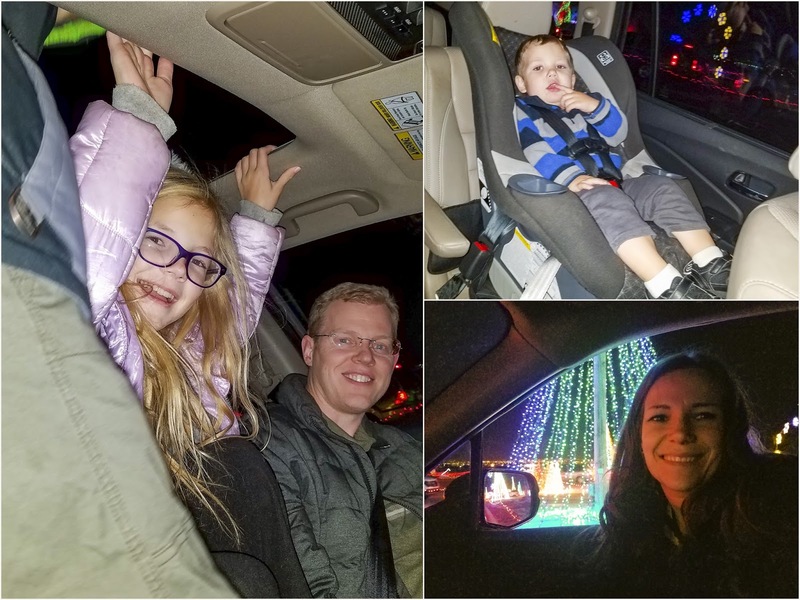 It was a fun way to see Christmas lights, while in the warmth and comfort of our car.